Many have tried, many have failed. 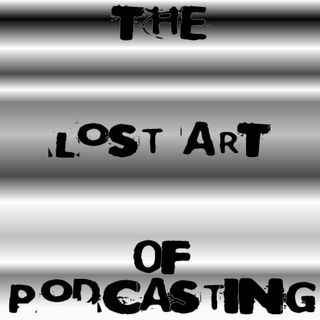 This is the Lost Art of Podcasting. The podcasts you've not yet been warned about! Long time friends Coxy & TDM along with RAD: Live host THG sit down once a month to discuss one of their favourite topics... WRESTLING! No era and no companies are off limits, as are the news and topics. Hear us laugh, cry, facepalm and passionately reminisce about the good, the bad and the plain illogical in wrestling. Join Paul "THG" Flinders and guests as we talk about current events and anything else that comes to mind and into the mic. Nothing is taboo, and nothing is off limits. Proud to be part of the BritPodScene.